Do you experience persistent and unreasonable anxiety or worry of specific object or situation? Has your anxiety or stress interfered with life functioning? Do you strive to manage your stress effectively? Are you overwhelmed by responsibilities? Do you worry excessively? Is your life turning into a daily challenge? Like all emotions, worry and anxiety have positive purposes, at least in the right dose. Our anxiety warns us of dangers, signaling us for high risks, pushes us to perform at a high level, and motivates us to take protective measures and actions. Yet, excessive anxiety can be overwhelming, even paralyzing, while panic attacks can be terrifying and even traumatic. Anxiety represents our body’s natural alarm system, signaling to us the possibility of danger. When this response arises too frequently or intensely and doesn’t match actual situations of danger, it can interfere with life and cause great distress. A high level of stress and anxiety can be debilitating. This is why when high levels of distress is experienced, it is important for people to be able to access strategies to reduce anxiety and manage it to minimize its negative effect. Do you worry constantly, even when nothing seems wrong? If you can’t relax, if you over-think or expect the worst, you may suffer from chronic anxiety. And if you might feel afraid, depressed or socially anxious, it’s not your fault. spiral2grow may be able to help you. If you feel anxious a lot, people may call you irritable or grouchy. Your muscles may get tense and sore. You will likely feel tired. It may be hard for you to concentrate, to relax or to sleep. You may not even know what you are worried about. Your life may not make sense. Also, many anxious individuals interpret ambiguous information in a negative way, so we are trying to train them to think in a more positive way. Research has shown that the most effective form of psychotherapy for anxiety is Cognitive Behavioral Therapy Treatment (CBT). 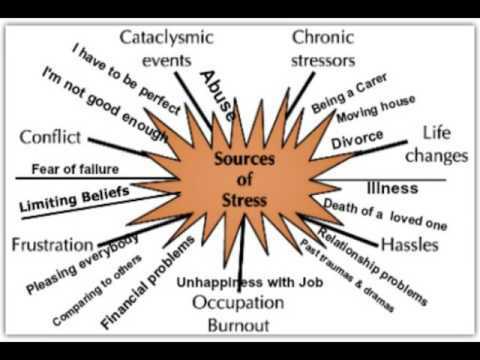 spiral2grow can teach you coping skills for dealing with Anxiety and stress. spiral2grow of New York City offers stress and anxiety Management solutions in a variety of formats: Individual Counseling for Anxiety, Group Therapy for Stress and Stress Management Workshop. A free internet self-help site for persons suffering from anxiety, panic attacks, phobias, obsessive-compulsive disorder - OCD, fear of flying and post-traumatic stress disorder - PTSD. Extensive information and skills, plus the latest on helpful medications. Anxious Living is an exploration into the nature and treatment of social anxiety.